Liverpool, city and metropolitan borough in Merseyside, England, along the eastern side of the Mersey Estuary. Built across a ridge of hills rising up to a height of around 230 feet (70 metres) above sea-level at Everton Hill, the city's urban area runs directly into Bootle and Crosby in Sefton to the north, and Huyton and Prescot in Knowsley to the east. It faces Wallasey and Birkenhead across the River Mersey to the west. Liverpool is governed by one of five councils within the Metropolitan county of Merseyside, and is one of England's core cities and its fifth most populous - 441,477 in 2002, with 816,000 in the Liverpool Urban Area, which includes suburbs on the Liverpool side of the Mersey but not those on the Wirral. Inhabitants of Liverpool are referred to as Liverpudlians and nicknamed "Scousers", in reference to the local meal known as 'scouse', a form of stew. The word scouse has also become synonymous with the Liverpool accent and dialect. In the 1960s Liverpool became a centre of youth culture. The "Merseybeat" sound which became synonymous with The Beatles and fellow Liverpudlian pop bands of the era catapulted the city to the front of the popular music scene. From the mid-1970s onwards Liverpool's docks and traditional manufacturing industries went into sharp decline. The advent of containerization meant that Liverpool's docks became largely obsolete. In the early 1980s unemployment rates in Liverpool were amongst the highest in the UK. In recent years, Liverpool's economy has recovered and has experienced growth rates higher than the national average since the mid-nineties. In 1974, Liverpool became a metropolitan district within the newly created metropolitan county of Merseyside, it had previously been in Lancashire. At the end of the century Liverpool was concentrating on regeneration which still continues today, with the city winning the accolade of European Capital of Culture for 2008. Capitalising on the popularity of the 1960s pop group The Beatles and other groups of the Merseybeat era, tourism has also become a significant factor in Liverpool's economy. This business property is located in Liverpool, close to Sudley House; Paul McCartney's Childhood Home and Sefton Park are nearby. Amenities at Erlscote & Lyndhurst Apartments include laundry facilities. This property provides an airport shuttle (surcharge). Guest parking is complimentary. The staff can arrange dry cleaning services. This property is self-catering. Amenities featured in guestrooms include DVD players and coffee/tea makers. Guestrooms have satellite television with pay movies. All guestrooms provide microwaves and refrigerators. Bathrooms feature jetted tubs, separate bathtubs and showers, and hair dryers. Sofa beds and rollaway beds are available. 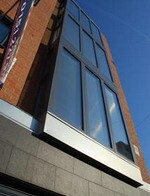 A brand new apartment complex, offering luxury, high specification apartments. The property nestles peacefully in a mature woodland location, not visible from the main road and accessed by secure electric gates. The location is easily accessible by road, rail or air and is a convenient 10 minutes drive from Liverpool airport and only 20 minutes drive from the city centre. The apartment is perfectly situated in Woolton, walking distance to Woolton Village and Allerton Road which both provide an array of restaurants, wine bars and cinemas. Of importance to Beatles fans and tourists alike, the apartments are situated next door but one to the famous Strawberry Fields and just around the corner from “Mendips”, 251 Menlove Avenue and the childhood home of John Lennon. Each apartment accommodates a maximum of 4 to 6 guests in two double bedrooms, one of which is en-suite. In the heart of Liverpool, this property is close to Beatles Story, Albert Dock, and Tate Liverpool. 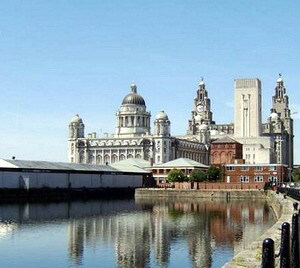 Also nearby are Merseyside Maritime Museum and Liverpool Arena and Convention Centre. 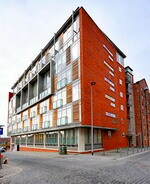 In addition to a concierge desk, Urban Chic Apartments - Albert Dock features laundry facilities. 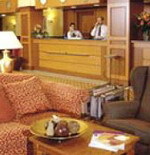 The staff can arrange tour/ticket assistance and dry cleaning services. This is a smoke-free property (fines may apply for violations). This property is self-catering. Amenities featured in guestrooms include DVD players, coffee/tea makers, and televisions. All guestrooms provide microwaves and refrigerators. Bathrooms feature shower/tub combinations. All guestrooms at Urban Chic Apartments - Albert Dock are non-smoking. London has three main central business districts (CBDs): the City of London, the West End in Westminster and Canary Wharf in the Docklands. The City of London is the largest financial and business district in Europe. The Citadines South Kensington Apart'Hotel London is situated in one of the most attractive areas of London surrounded by spacious parks, superb townhouses with gardens, chic boutiques and department stores. A short ride will take you to Westminster Abbey and the nearby institutions. This establishment offers you 92 flats including 62 studios and 30 one-bedroom apartments. This Apart Hotel is just 10 minutes from the Victoria station, 40 minutes from Heathrow airport and 60 minutes from the Gatwick airport. 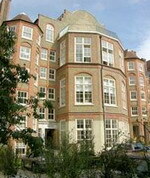 In Kensington Olympia, available for short stay self catering rental. 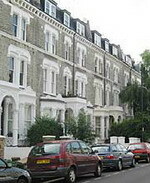 Well placed for Central London and can provide accommodation for 6 persons. This is a one bedroom apartment located in Kensington Olympia. It is available for short stay self catering rental. It is well placed for the amenities of Central London and can provide sleeping accommodation for up to 6 persons. The apartment is only 10 minutes walk away from the open spaces of Holland Park and the shopping on High Street Kensington. With rentals of 2 nights possible, it provides comfortable accommodation and is ideal for those coming to London on business or on holiday. Large villa close to Central London. 4 bedrooms, living room, 2 bathrooms, parking for 2 cars. large garden. 15 minutes to central London. Sleeps 10. 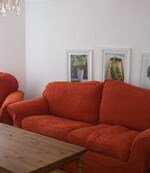 This is a fully furnished and equipped villa for your holiday in London. 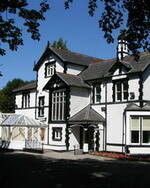 Whether a large family or a group of friends, our house is suitable for all your needs. Only 15 minutes by underground to central London, you are in the perfect location to enjoy the tourist attractions London has to offer as well as live in the comfort of a quite residential street close to shops and transport. The villa has 4 large double bedrooms, one with full ensuite bathroom. All with double beds. 2 of the rooms have an extra single sofa bed. Stunning loft apartment in Victorian School conversion with allocated parking. Exposed brick and beams, double height ceiling. Close to Central London. 24 hour security and concierge. Located in the heart of Whitechapel and conveniently positioned for Whitechapel Tube (two stops to Liverpool Street station or a few more stops to the heart of London and the West End). Shadwell DLR station is 10 minutes walk giving quick access to Canary Wharf. Set in a peaceful, gated development with 24 hour security and concierge. 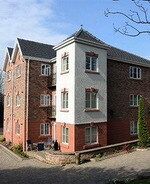 The apartment looks on to the courtyard with mature trees and fairy lights giving a peaceful calm atmosphere.